Complaints about insurance are commonplace, but now buyers of gadget insurance may have more reason to complain than others. The Financial Ombudsman Service (FOS) recently stated that it had seen a doubling of the number of complaints about gadget insurance throughout 2014 – more notably, it found that approaching half of all claims turned down were incorrectly turned down. The FOS found that insurers had applied the terms of the contracts incorrectly to valid claims – that or, as the BBC reported, the terms were “so ambiguous it was hard to see how anyone could make a successful claim”. The best gadget insurance – or is it? This prompted us to look at the best gadget insurance policies* on the market and see if the terms were clear to us. 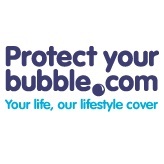 Our review included Gadget Cover Supercover, i-Digital Premier, Insure My Pocket Platinum, Insure My Mobile Phone Gold, Protect Your Bubble, GadgetBuddy.com, Switched On Insurance, and Helpucover. What we found was surprising – so, we have laid out our top unexpected policy terms to help you be armed when you go looking for your policy. Many people are familiar with a "14 day cooling off period" from phone and broadband contracts – that is a period after purchase when you as a customer can cancel the contract with no penalty. Several of the top gadget policies reviewed contained a 14 day cooling off period but also a 14-day ‘exclusion period’. This stipulates that for 14 days after purchase, you cannot make a claim. It’s reasonable to expect you are covered from the moment you have bought your insurance, but here that may not be the case. Some travel insurance policies won’t cover you for high value electrical items (a select few will), so people naturally expect their gadget policy will. All of the top end policies sampled allowed a period of time abroad per year, but the lowest was only 30 days – 3 long holidays could put you close to that limit, and the strict wording we reviewed would then mean any claim (relating to the travel or not) could be denied. All policies reviewed had an age restriction on the gadgets – the lowest required that the gadget had to be under 18 months old on the day you take the policy out. Some others required that the gadget were bought from a UK retailer, therefore excluding online auctions like eBay or foreign purchases brought back from holidays. Some also specified different excesses, depending on the gadget type insured. Some would say that if you leave your phone on the dash in your car window then you deserve what you get. Insurers would tend to agree as they commonly had a definition of "unattended" which might include leaving a gadget in a car, leaving it out of sight or even in one policy "beyond arm’s reach". The terms may be more stringent than expected – in some policies reviewed, it was ambiguous over whether leaving your phone on a table with a friend was considered "unattended" or not. Those who have been listening in their insurance classes will know that your boring old home insurance can include cover for mobiles and other gadgets as named items. The cover can sometimes work out cheaper than buying gadget insurance separately - though you do need to take care to make sure you’re getting the same kind of cover, as most home insurance policies would require upgrade options to ensure you are covered for accidental damage and when taking your items out of your home. By contrast, these are standard features on many gadget policies. We hope this helps you in getting to grips with your gadget cover, demystifying some of the world of insurance and helping to navigate if you have a complaint! * using a random sample of the 8 gadget policies that were both 5-star rated by Defaqto (making them “An excellent product with a comprehensive range of features and benefits” by Defaqto’s definition). Think gadget insurance companies need to do a better job? Then add your voice to our Gadget Insurance Group.